The latest iteration of Specialized's do-everything race-focused all-rounder is something special. We've been really impressed by the ride of the 2018 Tarmac during extensive testing - see Barry's review on our blog. This is the complete bike, equipped with a largely Dura-Ace Di2 groupset (plus Specialized's own highly-rated S-Works carbon crankset, a thing of beauty in itself). 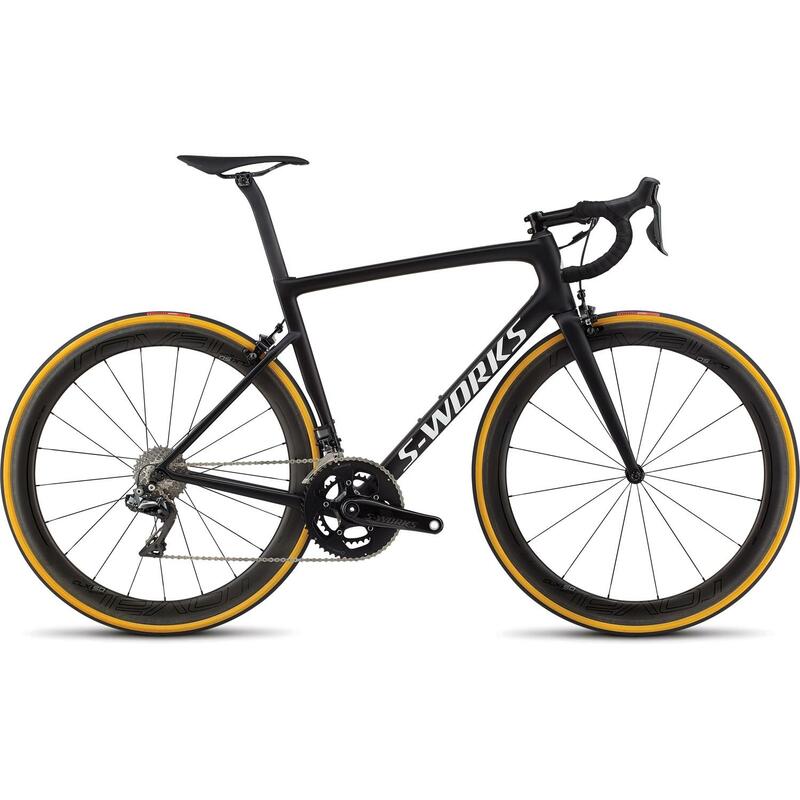 The S-Works Tarmac sits in between the cobbles-friendly Roubaix and the low-and-aero Venge at the top of the Specialized range. This is your classic race bike reimagined for the 21st century; happy whether sprinting or riding all day, and a joy when the road turns uphill. Wheels are the CLX 50 from Specialized offshoot Roval. Currently our favourite all-round performers, stiff, light and aero - watch our video review. If you have a bike fit with us before purchase we will happily amend any of the contact points below for the perfect fit (bars, stem, seatpost, saddle) at no extra charge. Your bike will then be expertly assembled and set up precisely to fit you before collection/delivery.